Wednesday, April 9, 2014: Here’s a new perspective. Daniel Degallier, a UW-Stout senior, took this photo of the old Leever’s grocery store site using a home built radio control multi-rotor helicopter (drone) carrying an HD camera. He notes that the drone is a small, electric powered and capable of going places other aircraft just can’t go. Thos. Parker, who is superintending the repairs of the broken Downsville dam, is making things hum in that bailiwick, and expects to have a new coffer-dam in so that the mill can be started in about ten days. Mr. G.B. Shearton, of Liverpool, England, a friend of Mr. John Hopwood, arrived in Menomonie last week and has accepted a position with the Knapp Stout & Co. Company as book-keeper. J.M. Hughes has sold 250,000 bricks to Minneapolis parties this spring. The demand promises to be good during the entire season. A stray partridge flew into Ives & Ticknor’s office Friday morning, breaking one of the large panes of glass in the front windows and piercing the heavy curtain inside. Mr. Ticknor caught the bird, which was somewhat bruised about the head, but otherwise uninjured. The amount expended for aid to the city poor during the year: $2,247.48. There are eight families who have received regular aid in amounts ranging from $2 to $10 per month, and 25 families that have received transient aid as their necessities seemed to demand. Owing to the industrial depression prevailing the past year, and the consequent lack of employment, the applications for aid have been numerous. It is hoped that the coming year will bring a change for the better and enable the poor commissioner to reduce the expense in this department. J.H. Stout has issued a dainty souvenir of the Manual Training school, which is an admirable specimen. It is a pamphlet of twenty-two pages printed on heavy satin-finished paper, and contains twelve fine exterior and interior views of the building, together with a sketch of the town and a concise outline of the work done in the school. It will prove exceedingly useful in advertising the school. The Hydraulic Press Brick company will resume operations at its yards at once, according to a statement made by S. J. Hewson, Minneapolis, general manager of the company, who was in the city Wednesday. The plant has been closed for many months, due, says Mr. Hewson, to a stopping of building caused by the war. Now comes a spirited resumption of building activity and the Hydraulic company will begin immediately the manufacture of brick. The company calls for fifty men. F. A. AIspi of St. Louis is the new superintendent of the Menomonie yards. Nearly 1,500,000 Soldiers Abroad Require Literature — Menomonie Must Help: Books are still needed by our soldiers and the American Library association, through the Wisconsin Free Library commission, appeals to the people of this state to do their share in supplying them with good literature. “A great many of our American boys are still overseas—we must not forget that outstanding fact, as we see the home-comings. To those boys in a foreign land—not yet able to return to their homes—we owe a special consideration. “By July first the A. L. A. must ship three quarters of a million books for these men. The army depends on us to do this fully and promptly. Through the thoughtfulness of citizen contributions and the Menomonie Moose lodge, 1,584, a total of 324 cartons, or 3,240 packages of cigarettes, have been sent to fighting men on foreign soil. The contributions were placed in the milk bottles that were on the various store counters in Menomonie, placed there by the Moose Lodge. Total collections by this means amounts to $162 to date, that being the amount spent to purchase cigarettes that have been sent overseas. Cigarettes bought in this way by contributions for servicemen are purchased tax free at the rate of five cents a package. The bottle will continue to serve. You are asked to make regular contributions. A nickel thus contributed will send a pack of 20 cigarettes to some soldier overseas. Dunn County’s community shelter plan “makes sense,” declared Robert Kirk, county civil defense director, when he addressed Rotarians last Wednesday. The plan, which was distributed throughout the county Feb. 12, was one of the first developed in the nation and is being used as a model in a five state area. The plan, according to the director, describes in a logical way the method of getting people into public buildings that offer protection from fallout. It is projected, continued Kirk, that the Twin Cities would be a target because of the electronic industry located there. “Our concern is radioactive fallout. We are in the fallout path because of prevailing wind currents,” he stated. Kirk said 38 public buildings with 11,300 spaces have been found in the county that offer protection but the county’s population is 26,000. Because of structures on the Stout State campus, there is ample space in the city with accommodations for 10,000 persons. However, there are only 1,300 spaces in the villages for the rural population. No effort will be made, he said, to bring the people outside of Menomonie into the city in case of nuclear attack, and residence living in the rural areas will have to develop their own shelters. In the event the Twin Cities come under attack: Kirk estimated that county residents would have two to three hours to find shelter. He pointed out the fallout threat would remain on the ground after the attack with the two days following the attack the critical period: Krrk said fallout “decays” and people will be:able to leave the shelter as radiation disappears. A burglary last week resulted in the loss of thousands of dollars worth of sports cards at the Baseball Card Shop,1300 N. Broadway. The owner said the losses could total $30,000 in cards and sports apparel. Yoder said that none of the cards at the store were of the Honus Wagner or rookie Mickey Mantle variety, the kinds that attract top dollar from collectors. Rather, the store stocked single rookie cards, the most expensive of which were in the it $20 to $50 price range. A Paul Molitor rookie card stolen in the burglary was priced at $70, Yoder said. About $1,000 in baseball caps with team logos on them was also taken, along with $500 in sports jackets with logos. Yoder is offering a $500 reward for anyone with information that leads to the arrest of those involved in the burglary. When Moret family discovered that Pre-K to fifth-grade educational books from a local elementary school were no longer going to be used, they took it upon themselves to find a good home for the used materials. “Our family believes that if there is someone out there that has needs we can provide, we should help,” declared, Jessica Moret, a stay-at-home mom and childcare provider. In addition to textbooks, she uncovered 186 activity books. Her husband, Leonard, a substitute teacher for the Menomonie Area School District, also brought home an assort assortment of records, cassettes, and teacher’s guides. Instead, they received a single response from Hospitalman Petty Officer Second Class Danny V. Prevou, stationed with US. Navy medical personnel in Guam. “Len & Jess, I have room for whatever you can send... and guarantee they will be put to good use by our adopted school. The kids and school here can use whatever you can send. “There are many of children who just go to school without any books because the government here cannot afford to buy them. “Thank you all very much. In addition to the books and materials the Morets have already collected, they are asking for donations to help pay the shipping costs. When it came to dealing with major crimes and accidents, 2008 was a relatively safe and quiet year in Dunn County. But the sheriff’s department found itself dealing with serious issues outside its borders and a record number of real estate foreclosure sales within the county’s boundaries. Delivering his annual report to the Dunn County Board of Supervisors, Sheriff Dennis Smith pointed out that an increased number of crimes affecting local residents, however, were committed many miles away. Those included cases of fraud, identity theft and internet crimes against children. “During 2008, we investigated a large number of theft by fraud cases that happened in Florida, Georgia, Texas and other areas across the country,” Smith told the board. Credit card fraud and forgery cases rose the from 112 in 2007 to nearly 200 in 2008. From 2007 to 2008. the number of real estate foreclosure sales nearly doubled, jumping from 46 to 87. By way of compare the sheriff pointed out that there were 16 in 2004 with a value of $2.66 million. The value of foreclosed properties in 2009 was $9.67 million. Mountain bike trail passes by single vote: Messages of strong public support for and against a proposed mountain bike trail at the Menomonie School District Bjomson Education-Recreation Center were heard loud and clear by school board members over the past several weeks. In the end, the school board voted 4-3 in its favor on Monday night. With the passing of the sometimes controversial proposal, District Administrator Chris Stratton said it move to a committee where issues and concerns will attempt to be worked out. 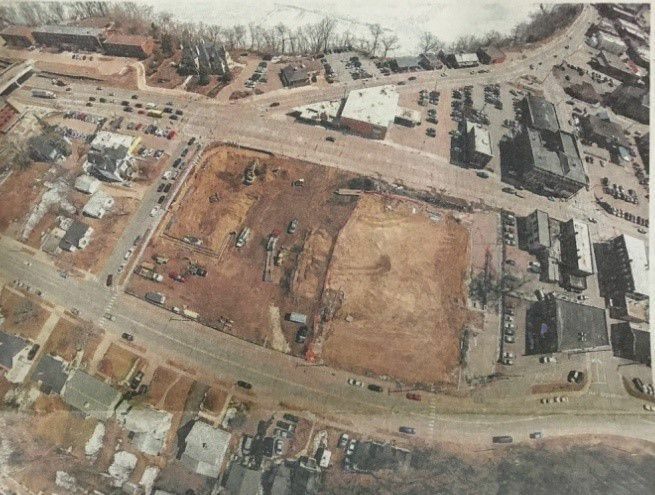 Two board members, Amy Riddle-Swanson and David Styer, attended a community forum recently to gather information that raised concerns over things such as a parking lot and erosion. The pair left meeting with split opinions. Empathizing with neighbors’ concerns over the placement of the parking lot, Riddle-Swanson voted against the proposal, along with Tammy Schneider and Colleen Davis. Prior to the vote Amy Gjestson, of Knapp, presented the board with a petition she said was signed by 100 percent of the resident with land adjoining the environmental site, stating that they were not in favor of the proposal as it stands. Schneider, who felt the site should be kept for educational purposes, posed questions about the duration of a contract, to which Stratton replied she does not expect there to be a contract.